This entry was posted in VPT Rad News on April 11, 2018 by Raines. 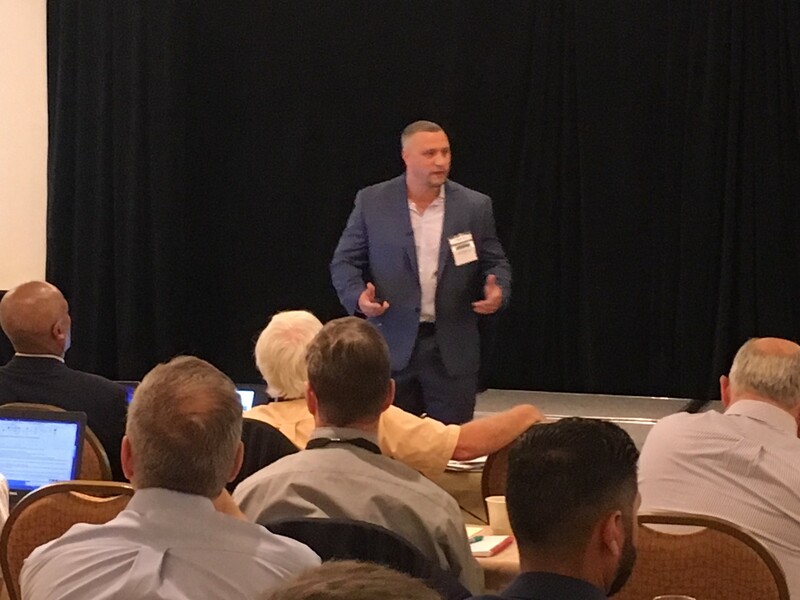 April 11, 2018 — Today at the 47th annual Space Parts Working Group (SPWG) in Torrance, CA, VPT Rad’s Executive Director, Aridio Sanchez, discussed the radiation test lab’s facility capabilities as well as recent company updates. Attendees of SPWG included members from government agencies, prime system contractors and subcontractors, part suppliers, and laboratories. The Space Parts Working Group is sponsored by The Aerospace Corporation, in cooperation with U.S. Air Force Space and Missile Systems Center (SMC), and the National Reconnaissance Office and is an unclassified, international forum which disseminates information to the aerospace industry and for resolving problems with high-reliability electronic piece parts for space applications. This entry was posted in VPT Rad News on December 13, 2016 by Raines. December 13, 2016 – VPT Rad®, the radiation lab and test services facility division of VPT, Inc. (VPT®), today announced the expansion of the suite of services offered under the approved Laboratory Suitability from the Defense Logistics Agency (DLA). In addition to its existing DLA suitability status, the expansion of these DLA approved services increases the scope to include MIL-STD-750 Test Method (TM) 1080 for Single Event Effects (SEE). The Electronic Devices branch of the DLA also performed an extensive audit on the Quality Assurance program, covering VPT Rad’s suite of DLA-approved irradiation test services. The DLA audit is now closed successfully and VPT Rad has received continued approval to provide radiation testing on electronic components to MIL-STD-750 and MIL-STD-883 Test Method 1019 – Ionizing Radiation (Total Dose): Conditions A, C, and D, and Test Method 1017; per MIL-STD-750 and MIL-STD-883. VPT Rad provides radiation test services to the electronics industry where radiation environments can degrade component performance. Its in-house facility includes Total Ionizing Dose (TID) irradiators for both High Dose Rate (HDR) and Low Dose Rate (LDR). 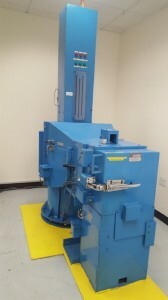 Heavy Ion Single Event Effects (SEE) testing and neutron irradiation testing for Displacement Damage Dose (DDD) services are also provided to VPT Rad customers at facilities throughout the U.S. For customers and programs outside of the U.S., the facility provides radiation test solutions using test methods compliant to ESCC 22900. VPT Rad also serves the gamma irradiation needs of the biomedical research and development market. The DLA Laboratory Suitability issued to VPT Rad is number is VQE-17-030893. More information can be found on the DLA website: www.dla.mil. This entry was posted in VPT Rad News on June 17, 2016 by Katie Bouchard. June 16, 2016 – Victor Brisan, Senior Test Engineer at VPT Rad, recently shared information with the readers of Military Embedded Systems about utilizing cost-effective, radiation tolerant commercial off-the-shelf (COTS) components when designing non-traditional small satellites. With less stringent radiation requirements than traditional programs which require costly radiation-hardened certified components, Brisan outlines several radiation screening options available to keep costs within budget while providing the radiation tolerance and reliability required by the components used in these programs. 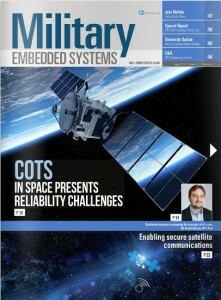 Please see Military Embedded Systems magazine to read the complete article. This entry was posted in VPT Rad News on December 10, 2014 by Raines. CHELMSFORD, MA, December 10, 2014 – VPT Rad℠., the radiation lab and test services facility division of VPT® Inc., today announced official lab suitability approval by the Defense Logistics Agency (DLA). This status is given to only those laboratories that have been thoroughly audited by the DLA division of the U.S. government. With this lab suitability (number VQH-14-028561), VPT Rad is able to provide radiation testing on electronic components to test method 1019 – Ionizing Radiation (Total Dose): Conditions A, C, and D, and test method 1017; per MIL-STD-883 and MIL-STD-750. VPT Rad provides radiation test services to the electronics industry where radiation environments can degrade component performance. Its in-house facility includes Total Ionizing Dose (TID) irradiators for both High Dose Rate (HDR) and Low Dose Rate (LDR). Heavy Ion Single Event Effects (SEE) testing and neutron irradiation testing for Displacement Damage (DD) services are also provided to VPT Rad customers at facilities throughout the U.S. For customers and programs outside of the U.S., the facility provides radiation test solutions using test methods compliant to ESCC 22900. VPT Rad also serves the gamma irradiation needs of the biomedical market. More information can be found on the DLA Sourcing and Qualifications page. VPT® Inc., part of the HEICO Electronic Technologies Group, leads the industry in providing innovative DC-DC power converters, EMI filters, and custom engineering services for avionics, military and space applications globally. Every day, organizations like NASA, Lockheed Martin, Boeing, ESA and many more depend on quality power conversion solutions from VPT to power critical systems. For more information about VPT, please visit www.vptpower.com. VPT Rad℠ is a comprehensive radiation laboratory and test services facility to serve the radiation and related test needs of aerospace electronics manufacturers as well as the gamma radiation needs for biomedical device manufacturers. For more information, please visit www.vptrad.com. Certain statements in this press release may constitute forward-looking statements. Products described in this communication are subject to all export license restrictions and regulations which may include but are not limited to ITAR (International Traffic in Arms Regulations) and the Export Administration and Foreign Assets Control Regulations. Further restrictions may apply. VPT, VPT Rad, their logos and taglines are registered trademarks or service marks in the U.S. Patent and Trademark Office. All other names, product names and trade names may be trademarks or registered trademarks of their respective holders.